Your practice growth strategy starts with patient search behaviour research. It underpins your new practice website or your social media strategy, so we can attract more patients and position you as a leading doctor. When we create your practice growth strategy, we first check the basics. When a patient googles for one of your treatments in your area...do they find you? Most Digital Practice clients realise that they need a premium website to represent their medical expertise online. A healthcare website works for your practice if patients can find you, when they do a local search. And, when your website builds rapport and credibility so they decide to make an enquiry or ask for a referral to your clinic. Our systemised approach uses live Australian patient search behaviour data for your medical specialty. Then we map the topics to write about, so you cover exactly what patients are googling for. 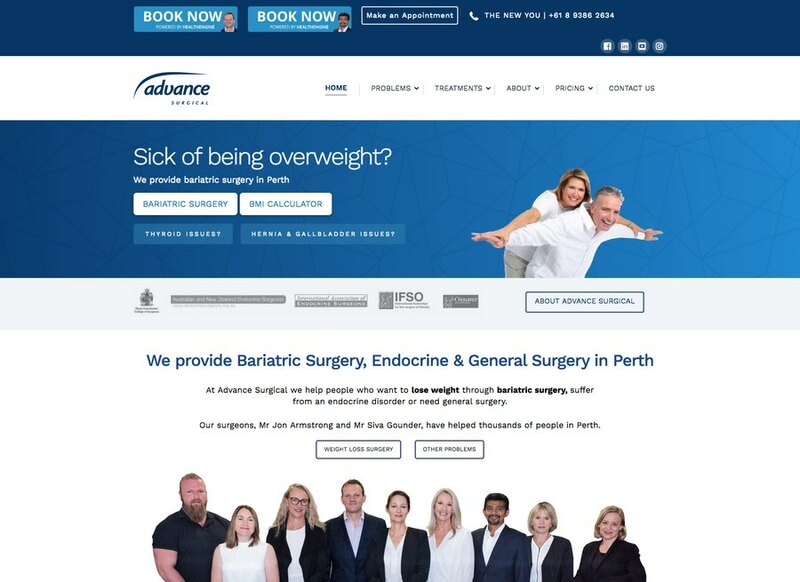 We only work with doctors and have tested our design formula, so you can rest assured that your website will generate the interest of those who find you. And we monitor your google performance for 9 months after we launch your new website. As an option for your strategy, or as a standalone package, you can use our services to populate your Instagram account and Facebook Page with AHPRA-compliant, quality posts. Produced by our team of medical journalists and styled in line with your brand identity. A Digital Practice social media package amplifies your word-of-mouth referrals and makes you stand out on social media without risking complaints. Video is by far the most effective online format and we use it to help patients understand the content on your website. A short, concise video clip on a page about a symptom or a treatment helps you build rapport and hooks the patient on your website. Ask us about ways to use YouTube videos in an AHPRA compliant way to make your practice stand out from the competition. We build your online leadership profile with short FAQ-style videos on your website and on your YouTube channel. Get a free consult and find out what we can do to increase the online visibility of your health practice. Do you capture the full potential of patient search volumes for your key treatments? Take the test and make use of our free competition assessment offer. Your Practice Growth Strategy is executed by our team of qualified senior experts. Shortcuts are not acceptable and we pride ourselves in delivering quality work and premium service. When Els Van de Veire and Kris Borgraeve, the founders of Digital Practice, traveled around the world to interview top surgeons at medical conferences, their interest in medical journalism and medical marketing became a real passion. With over 12 years experience producing online video and marketing content, they decided to compress their best practices in a unique method, to create practice growth for doctors. The team, based in Perth, Sydney and The Netherlands, is focusing on every aspect of your strategy, so you can focus on what matters most. Helping patients, and growing your health practice. Oh, and did we mention that we only work with doctors? It has given us a decent understanding of practice management, patient education, the Medicare system and private healthcare in Australia, the mechanics of a private practice and the realities of hospital management. It helps, when you understand the content you are communicating about.